Wichita, KS (Friday, August 12, 2016) – The 14th Annual Tallgrass Film Festival presented by Consolidated Equities Trust (October 12-16) today announced the seven official selections for this year’s Stubbornly Independent competition representing the ongoing theme of the popular film festival. Chosen by a film industry jury, the winner of the competition will play at the festival's Saturday Night Vimeo Stubbornly Independnent Gala, receive a $5,000 cash prize from Vimeo, a theater rental from AMC Theatres in any major market, an AMC Annual Movie Pass, and take home the Stubbornly Independent Beer Tap Trophy from VanChase Studios. All films selected for the competition will also receive digital billboard advertising from Wichita-based Fliphound, and a custom animated title for use on social media platforms from Wichita- based Title Farm. The winning film will be announced in September with the roll out of Tallgrass FF’s full schedule. The seven selections for 2016 are Alicia Slimmer’s CREEDMORIA, Blayne Weaver’s CUT TO THE CHASE, Kieran Valla’s DELINQUENT, James Morrison’s DIVERGE, Paul Taylor’s DRIFTWOOD, Beth Dewey’s ERASING EDEN, and Aaron Greer & Seth Panitch’s SERVICE TO MAN. Director of Programming and Operations, Nick Pope said, “After a record number of submissions, the selected contenders range in genre from indie comedy and apocalyptic sci-fi to dialogue-free drama and old school gritty street action. We're continually impressed by the accomplishments and vision that can be found within today’s independent filmmaking scene, all telling unique stories outside of Hollywood. We bear witness to both women and men forced into making life crisis decisions for both comedic and dramatic effect, a period-piece examining black and white relations that is just as relevant today as the time in which it takes place, and a scientist traveling through time in an attempt to stop himself from causing a cataclysmic pandemic. As always, these contenders demonstrate the spirited and stubborn independence it takes in getting fresh and original content to the big screen." This year marks the fifth year of the Stubbornly Independent competition, which stipulates that in order to qualify, the film must be a domestic narrative feature produced for less than $750,000, and the film cannot have a theatrical, VOD or other distribution deal prior to October 16. Previous winners (all of which have gone on to secure distribution following their appearance at the Tallgrass Film Festival) were Ishai Setton’s THE KITCHEN (2012), Paul Osborne’s FAVOR (2013), Jack Bryan’s THE LIVING (2014), and last year’s winner - Valerie Weiss’s A LIGHT BENEATH THEIR FEET (2015). Doug Klinger is co-founder of IMVDb.com and a Curator at Vimeo. He helps to find and highlight the best films and creators on Vimeo through Staff Picks, categories, and the Vimeo Podcast. I, THE OVERNIGHT, LOUDER THAN BOMBS, HUNT FOR THE WILDERPEOPLE and CARTEL LAND, to activist documentaries including THE MESSENGER, BIKES VS CARS and OF MEN AND WAR, to cult classics like Alex Cox¹s STRAIGHT TO HELL RETURNS. Current theatrical clients include The Orchard, Participant Media and Kino Lorber Films. A long-time veteran of the film business, Bill has worked for 41 years for a number of different exhibition and distribution companies. For seventeen years he also taught a popular course on the film business at New York University. He is also active with the Motion Picture Club and Variety-the Children’s charity. Maxwell Wolkin has been with Film Movement since 2012, where he is responsible for festival strategy, non-theatrical bookings, and educational sales, along with acquisitions as part of a rancorous acquisitions team. He is partial to classical melodrama, body horror, and other ways the medium of film puts a magnifying glass to the essential human experience. Award-winning filmmaker and Harvard biophysicist, Valerie Weiss, has just completed her third feature film, THE ARCHER, as a director-for-hire for Mar Vista Entertainment. THE ARCHER, a feminist coming-of-age action film stars Bailey Noble, Bill Sage, Jeanine Mason, Michael Grant Terry and Kurt Fuller and follows a young competitive archer sent to a girls’ reform camp and escapes the corrupt prison with the help of a jaded inmate. Her previous credits include LOSING CONTROL and A LIGHT BENEATH THEIR FEET, which won the prestigious EDA award for Best Female-Directed Narrative Feature, the Stubbornly Independent Award at Tallgrass Film Festival in 2015 and more. 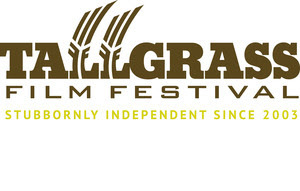 Passes for the Tallgrass Film Festival are available for purchase now. Please visit http://www.tallgrassfilmfest.com for festival pass and ticketing information. Candy injects the “fun” in her dysfunctional life. When your brother is found by a neighbor naked and drunk, you’re stuck with a caveman of a boyfriend, you have a dickhead boss, and the madness of everyday life competes with your mother’s need to appear “normal,” you have to peek between the cracks to find the warm rays of hope. But, maybe normalcy is just a construct for other people. And, maybe breaking out of the institution is more important than fitting in. After years of trying to save those she loves, it's time for Candy to save herself. Max Chase (Blayne Weaver) has always been on the wrong side of the law but his younger sister Isobel (Erin Cahill) always bails him out... Until the day she disappears. Now he must set out to find his sister while being pursued by the city's crime boss known as "The Man" (Lance Henriksen). Max's only ally in his search is a manipulative yet captivating criminal (Lyndie Greenwood), who is also on the run from "The Man". DELINQUENT focuses on Joey, a troubled student who is counting the days until he can get out of school and work for his father – a tree cutter by day and the leader of a gang of small-town thieves by night in rural Connecticut. When Joey’s father asks him to fill in as a lookout one night, he is thrilled, until a routine robbery goes very wrong, with Joey forced to deal with the fallout. Now, caught between loyalties to family and a friend in mourning, Joey has to deal with paranoid accomplices, an investigation, and his own guilt. What kind of man does Joey want to be and what does he owe to the people he loves? In the aftermath of a global pandemic, one survivor is given the chance to travel across time to stop the cataclysmic event and regain everything he has lost. To do that he must kill the man responsible for sowing the seeds of mankind’s destruction –his past self. Equal parts science fiction and character study, DIVERGE is the story of a man as he discovers how far he’s willing to go to return to the one he loves, and what he stands to lose in doing so. The cast includes Ivan Sandomire (RESTIVE), Andrew Sensenig (UPSTREAM COLOR), Jamie Jackson (“The Blacklist”). A young woman washes ashore and is claimed and conditioned by an older man in this intricately layered, dialogue-free exploration of familial roles, isolation and captivity. A young woman plunges her life into chaos by drinking herself into a blackout the night before her wedding, facing the ultimate soul-searching. She decides her own fate, recognizing that she has the power to make or break herself. It’s 1967, and Nashville's all-black medical school has just accepted its first white student. Now, Eli Rosenberg, and Michael Dubois, a legacy student from a very different background, must struggle to find common purpose within the pressure cooker of medical school in the turbulent 1960s. Stubbornly Independent since 2003, the Tallgrass Film Festival is the largest film festival in Kansas. A program of the 501(c)3 Tallgrass Film Association, the festival showcases more than 180 films from around the world, hosts dozens of visiting filmmakers and includes galas, parties and educational workshop and panels. In addition to bringing the best of independent cinema to Heartland audiences, the festival is designed to highlight the city's cultural attractions including world class museums, landmarks and unique local businesses, to visitors and residents alike. Throughout the year, TFA presents year-round special screenings in partnership with organizations like Music Theatre Wichita, the Wichita Art Museum, the Orpheum Theatre, Exploration Place and the Ulrich Museum of Art, a traveling Road Show in association with the Kansas Historic Theatre Association, a 24 Hour Film Race and Filmmaker Workshops. The 14th annual Tallgrass Film Festival is presented by Consolidated Equities Trust. Additional support comes from the City of Wichita, Howerton + White Interactive, House of Schwan, Vimeo, Atomic Billboards, KMUW 89.1 Wichita Public Radio and the Wichita Extended Stay Collection.